Children (child) clothing size is also often referred to as "Little Boys/Little Girls Clothing size" and usually cover 4 to 6 yeras old children (boys and girls). 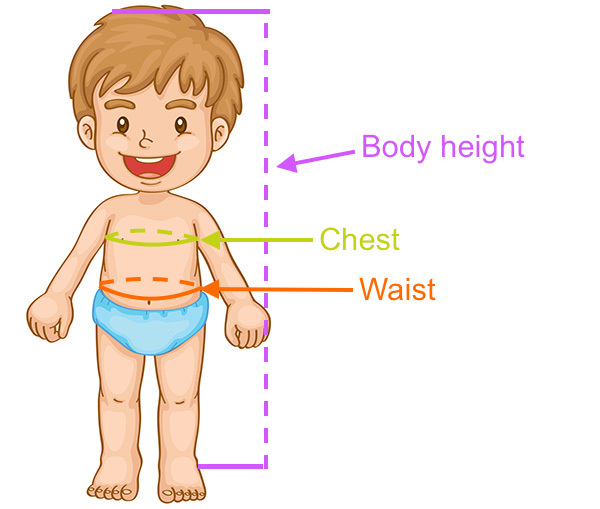 Use your body measurements to determine your child's Clothing Size from the US Child Clothing Size Chart below. These measurements are more to likely to help you find the correct size than the kid's age. Boys/girls. G=girl, B=boy. All measurements in inches. Smaller sizes? See our Toddler Size Chart (read about overlap between toddler and child size at top of this page). Larger sizes? See our Youth Size Chart.